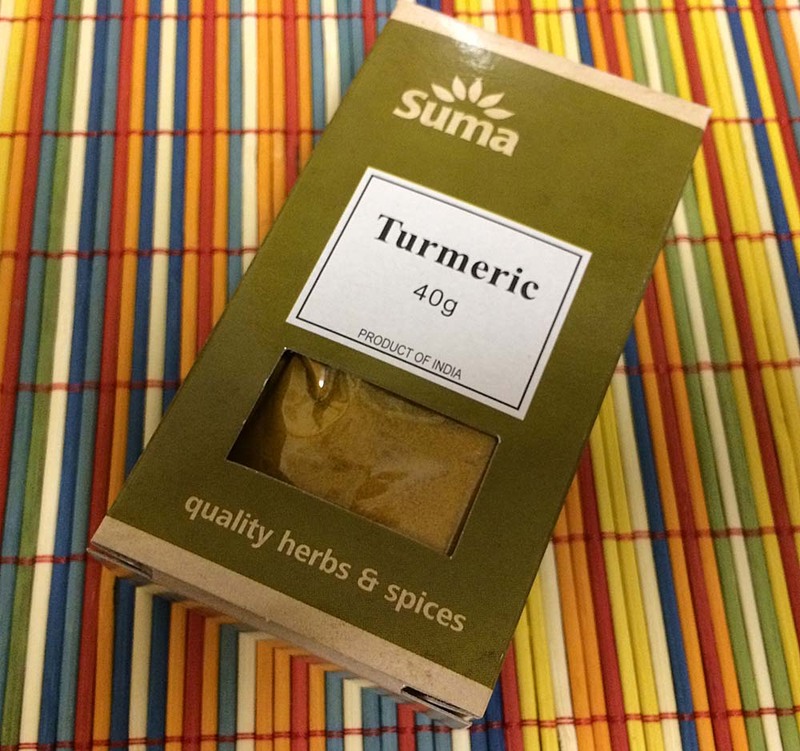 2016 seems to be the year of the Turmeric. Turmeric boasts a number of health benefits: digestive and antiseptic, but as a person of South Asian heritage Turmeric known as Haldi has been part of my heritage and not seen as a trend. Turmeric is traditionally used in South Asian curries, pickles, thrown into chappati's aka roti's, rice, Dals, soups, but also as a beauty treatment. However as a vegetarian experimental cook, even I have succumbed to the recent attention turmeric has been getting in the foodie world. 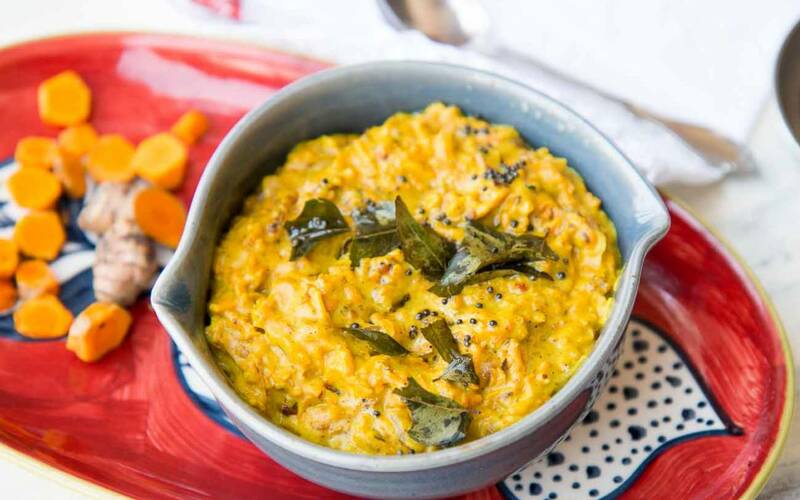 The past couple of years has seen the rise in turmeric consumption in the Western world doused in vegan tofu scramble to give it that ochre egg yoke colouring, stirred into breakfast oats, as well as in drinks such as turmeric lattes, turmeric smoothies and turmeric teas - all of which seem to be the rage right now. Today I bring you my bakers dozen: 13 meatless vegetarian and vegan recipes that make turmeric the golden star it is, not an accessory. 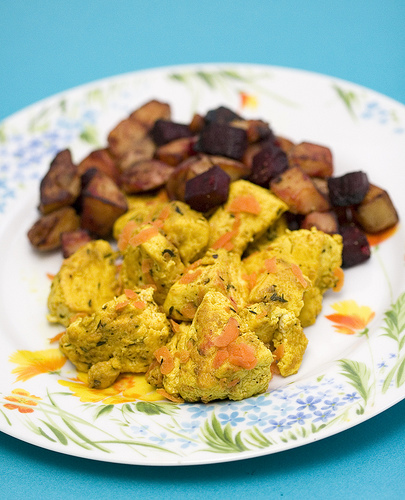 It would be wrong not to start with the much beloved vegan Turmeric Tofu scramble from Post Punk Kitchen. Tofu Scarmble has become a staple in every vegan home. I am not vegan and I love it. 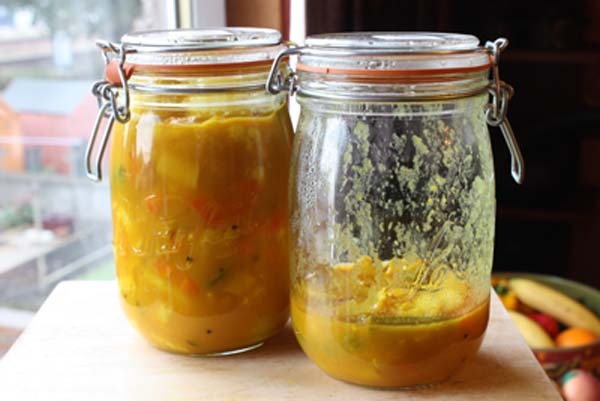 Turmeric Garden Vegetable Piccalili made with green beans, runner beans, cauliflower and carrots. This Piccalili is perfect next to a good home-made pie. 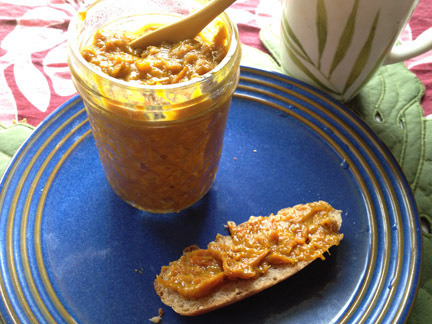 This unctuous Tangerine Turmeric Jam by Tropical Homestead is a little like marmalade, perfect for crusty or toasted homemade bread. 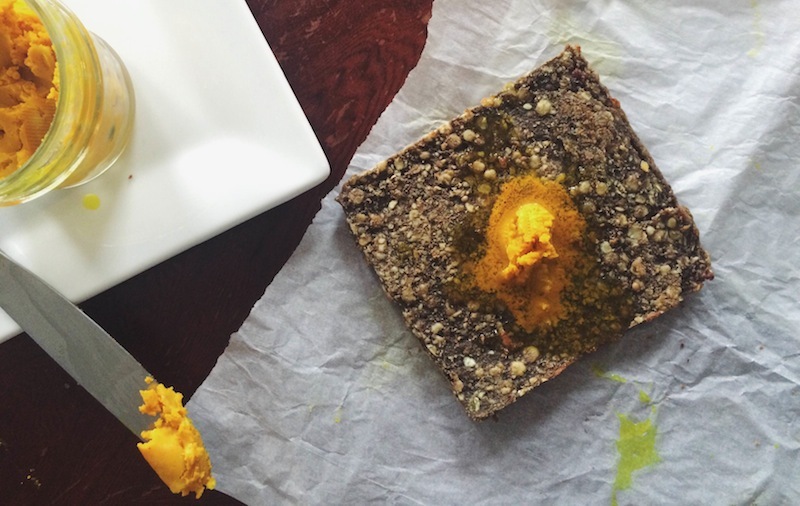 An awesome and original Dairy Free Turmeric Butter from Refresh. I love the crackers too. 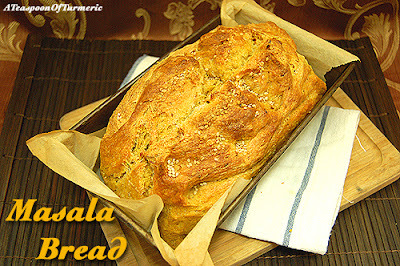 A handsome Turmeric Masala Bread from the beautiful Preena who blogs over at A Teaspoon A Turmeric - a blog about Turmeric and Indian cooking. Turmeric Pasta Salad with Blood Orange Chilli Oil. 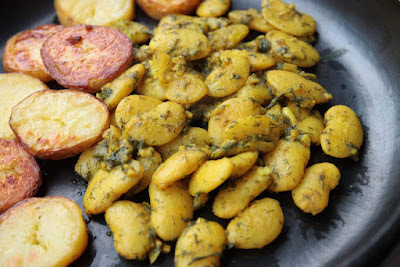 The pasta is simply boiled in water infused with ground turmeric, I have also done this with New Potatoes. Fresh Turmeric Root Vegetable Curry from Archana's Kitchen. 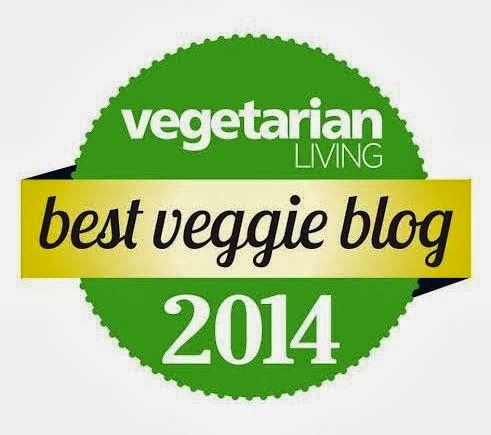 This is an amazing vegetarian recipe. 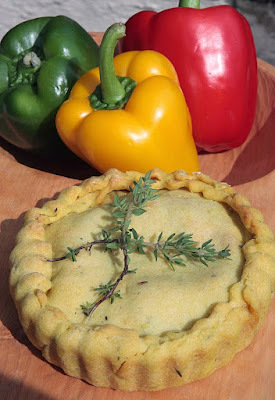 Jamaican 'Patty' Pies with Turmeric Pastry - Here the vegan pastry is infused with ground turmeric and thyme. 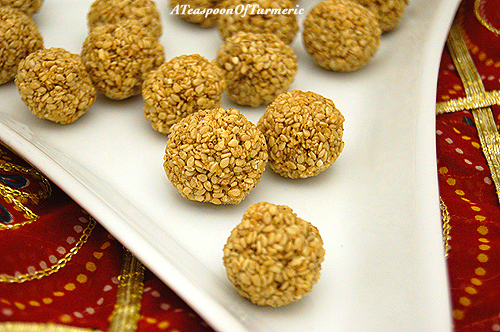 Another fantastic turmeric recipe from A Teaspoon Of Turmeric, this time its a Turmeric Til Ladoos, an Indian sweet covered in sesame seeds. 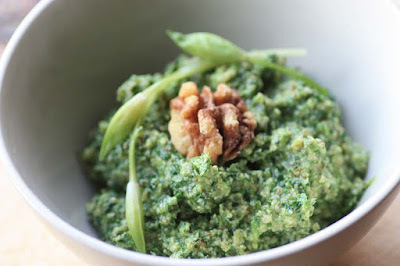 This would be so easy to make vegan by substituting the ghee with coconut butter. 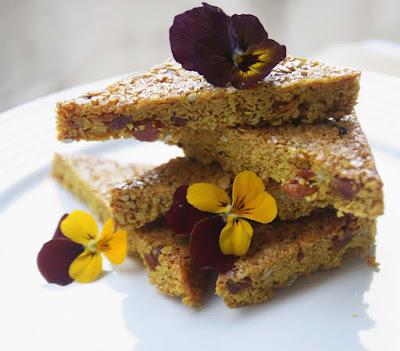 And finally, a pretty Middle Eastern Turmeric Cake aka Sfuf, Sfoof by Reinventing Nadine. I hope you have enjoyed this Turmeric blog post and are inspired to make it more of a star ingredient in your recipes. 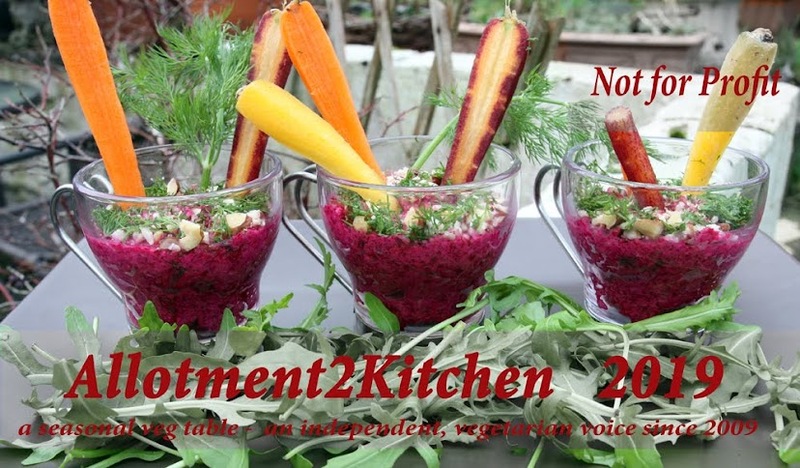 Do you have any turmeric recipes that you would like to share with me. I eat quite a bit of turmeric, initially, just because I bought a very large bag of it from the Asian supermarket! 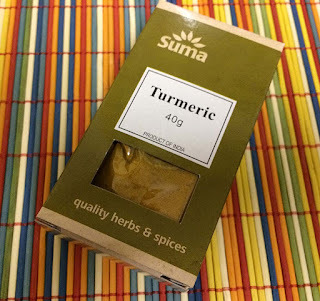 I am about to make some Turmeric Golden paste, a recipe I found on Pinterest I think or was it on your blog? I also eat a lot of Garlic,Ginger and Chillies plus, other spices and pulses. Thank you Johanna. I will check out your link. I have a vegan turmeric latte recipe to share on my blog, its quite delicious - but I grew up drinking milky sweet turmeric - haldi ka dood when I was small for tummy aches, not so much as a grown up :) I will check out your recipe too. You sure have your pulse on my foodie heart! There are at least three recipies here I will try, but first one will be Tangerine Turmeric jam! Thank you thank you. The warm drink I keep going back to as it makes my tummy feel good and I love the taste (big Turmeric fan). I use a green tea with jasmine, and after removing the tea, for one cup, add 1/8 teaspoon of ground turmeric, 1/8 teaspoon ground ginger and squeeze of lemon to taste. I could strain it, but I don't...just keep stirring it. 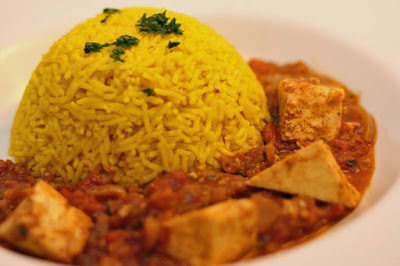 This is perfect at lunch time as it almost feels like a warm soup because of the turmeric and ginger. And your tummy will feel nice and warm and happy. Great post Shaheen.